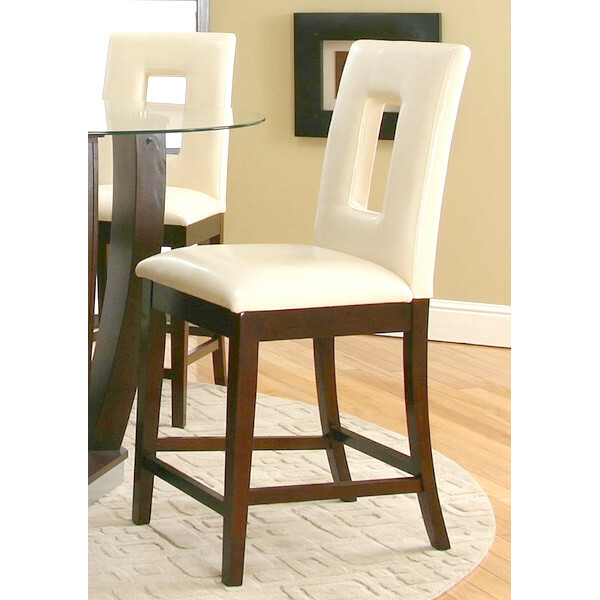 The Emerson Cut-Out Back Counter Stool is offered in a dark cherry finish. Features ivory upholstery. Styled for today's casual living. Easy care 100% polyurethane fabric. State of the art sewing and upholstery. Ready to assemble.